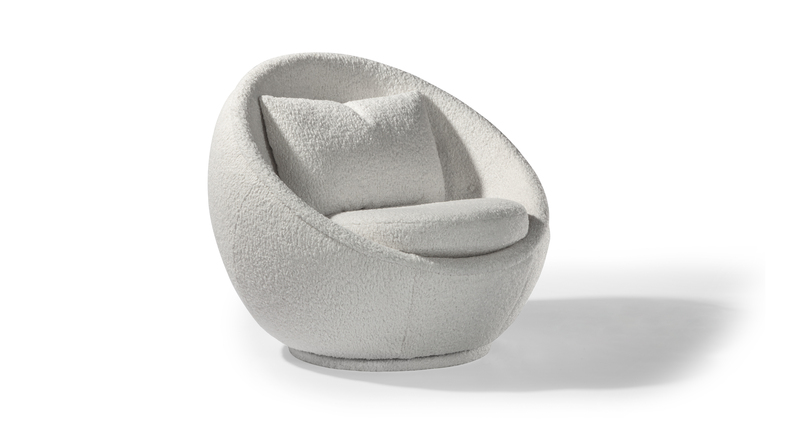 Originally designed in 1967 by Milo Baughman, this swivel chair is a midcentury modern classic. 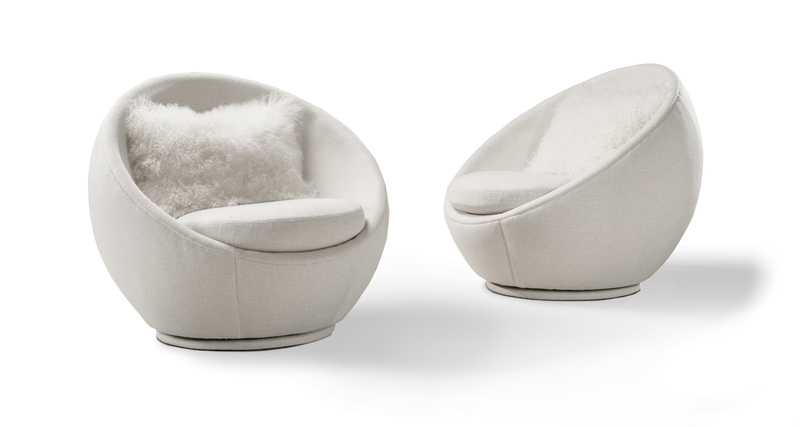 Featuring an upholstered swivel base and revolutionary barrel construction, the Good Egg is a show-stopping accent chair. Choose from our many in-house curated fabrics or provide COM. Upholstered swivel base standard. No prints, no vinyls, no leather. Available only in TC approved fabrics.